TRAGIC: Gujarat, the land of the Gir Forest, the abode of the last few surviving members of the Asiatic lion; was witness to the death of two lionesses that were knocked down by a train on the Surendranagar Pipavav Port railway line. The lionesses were hit by the train between Dehra and Pasada villages in Rajula taluka of Amreli district. The place where the accident happened is around 35-40 kms from the Gir forest, but is frequently visited by lions. It was only last year that a six-month old cub died in a similar incident on the route. A leopard was also a victim on the railway track in similar circumstances. It is believed that one of the two lionesses was pregnant, but officials are waiting for the post-mortem report to confirm the same. Ever since the occurrence of a similar incident of two lions being mowed down by a train in the Sasan forest area fifteen years ago, trains on the rail line in this area have been plying at a slow pace, resulting in minimising such accidents. This incident however has sparked off outrage among villagers who were the first to spot the animals and report their accidental death. They hold the rampant development in the lion corridor responsible for the incident. “The area has seen rampant development. Mines and ports have come up. It is home to close to 60 lions and is outside the sanctuary and forest area. This was a tragedy waiting to happen. Unlike in Gir Sanctuary, the forest officials don’t patrol the area much. If no concrete steps are taken, such incidents will continue to happen,” said Dinesh Goswami of Prakruti Nature Club. He opines that the man- lion conflict in the area would aggravate with the development here. “There are heavy vehicles including loaders moving in the area. I have personally seen lions close to such areas,” said Mangabhai Thapa — a resident of the village who was among the first to reach the lion accident site. 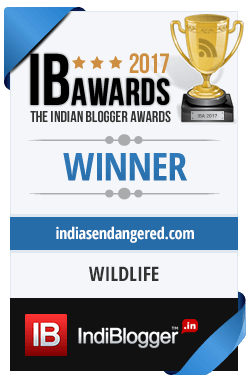 It may be noted that this incident comes close on the heels of the Ministry of Environment and Forests announcing the signing of an MoU between the states of Madhya Pradesh and Gujarat governments to shift the Asiatic lions from Gir, Gujarat to Palpur Kuno Sanctuary in Madhya Pradesh following a Supreme Court ruling in April in a move to conserve the numbers of the Asiatic Lions. Currently Asiatic Lions (Panthera Leo persica) are categorised as endangered and Gir is one of the few places where only about 400 lions remain. The Gujarat State Government had opposed the relocation move citing safety reasons and the poor record of MP in protecting its tigers. However this incident seems to indicate that the human-animal conflict is as much a threat in Gujarat, as any other state in the country. He admitted that the area is home to several lions, despite being outside the forest area. Goswami said the lions have moved to the coastal areas and these areas have now seen rapid development. “There is rampant mining happening there and soon we will see a new sort of conflict. We need to do something before it is too late,” he warned. In the tussle between governments, ego clashes, conflicts between man and beast arising from development needs, let us hope that the ultimate loser is not the Asiatic Lion. Asiatic lions are genetically distinct from the lions of sub-Saharan Africa, although the difference is not large. Asiatic lions have a smaller pride size than their African cousins. Their prides have an average of only two females, whereas an African pride has an average of four to six.They are also smaller built. They have belly fold and distinctive tuft of hair on elbow which are absent in their Afican counterparts. 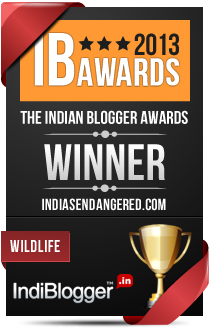 They predominantly prey on deer (sambar & chital), antelope (nilgai), wild boar, and livestock. The Asiatic lion currently exists as a single subpopulation, and is thus vulnerable to extinction from unpredictable events, such as an epidemic or large forest fire.